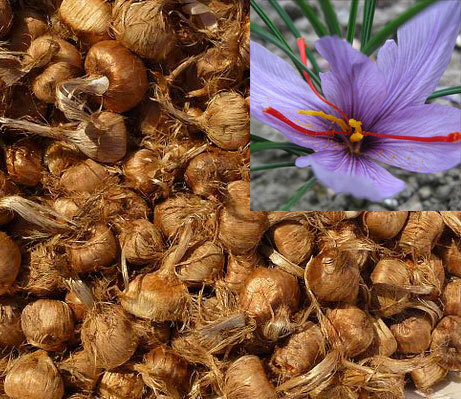 Best quality organic saffron bulbs – crocus sativus! 2018 – preorders SPECIAL PRICE. Delivery in June. Saffron can grow nearly anywhere in the world. The kind of soil is far more important than the climate of the region where one wants to grow it. 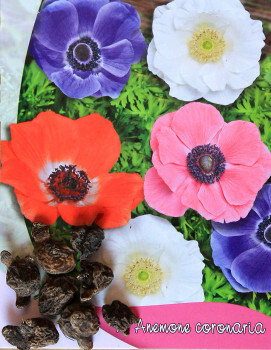 It can be grow in big quantities on gardens or just a few flowers in your house. Saffron corms like the drained soil, heavy clay soil must be avoided. The ideal type of ground is the neutral clay-calcareous or silty soil with PH 6 to PH 8. For small areas like a vegetable garden or simple borders, you can easily improve the soil by adding sand, peat or compost. 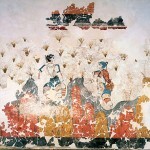 The saffron bed must be in a sunny place. Saffron corms can either be planted directly into the ground (gardens, fields etc. ) or in pots or window boxes (inside or outside). Put the corms into the ground at a 10 to 15 cm depth leaving a 10 cm gap between them. Watering is not necessary. Corms multiply from one year to the next, from one corm one can get 5 corms after 3 years. 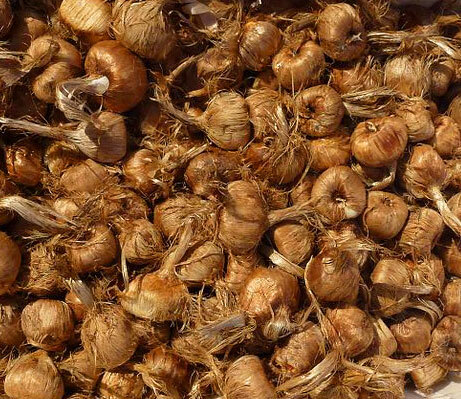 Our bulbs are guaranteed to grow in normal conditions and for sure will not make you problems in cultivation. This package comes with 15 big bulbs size 10+. For any other quantities or other details please contact us! Discounts apply for big orders. Shipping prices are automatically added when you checkout. Please allow 2-4 weeks for delivery.